For more Haiku My Heart, visit http://www.corazon.typepad.com/. ~ by Dawn Elliott on June 24, 2011. Lovely haiku, Dawn. Thanks for sharing. Breathtakingly beautiful–photos and words. How I wish I had a camera that could take close-ups like this. Dawn, what magnificent blooms! Great haiku to go along with your photos. Makes me want my own camera even more!! They protect the beauty of the flower itself with more beauty. Great haiku and wonderful photographs! fields of hollyhoks against a blue sky…speaks of summer! 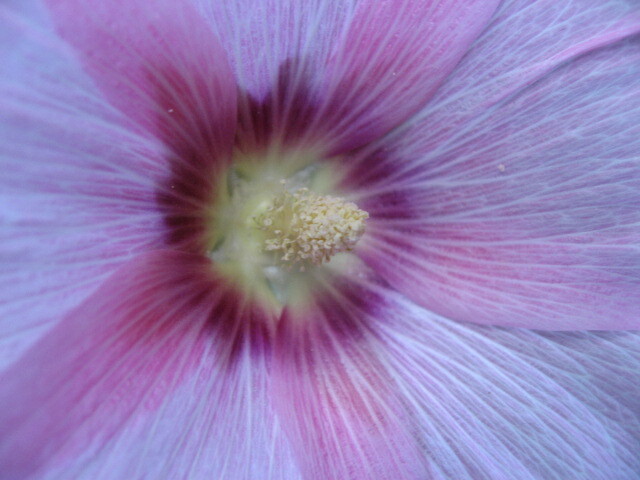 I love hollyhocks! Beautiful words and image. LOVE this line… such beautiful, regal sentinels. BTW Loved your ‘Hands’ post too. One of my favorite flowers and a beautiful poem! It’s early in the morning in the Netherlands, and it’s great to start the day with images and words like this! Thanks! Enjoy your weekend! Its’ indeed very well thought out.. liked it .. 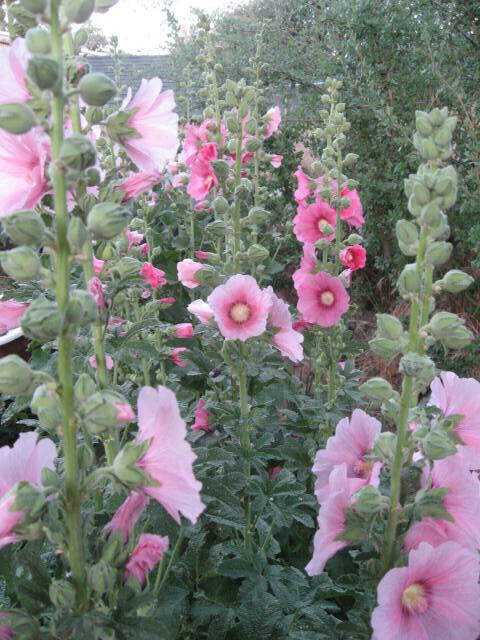 Yes, one year is being celebrated.. with more Haikus.. indeed..
Hollyhocks are some of my favorites. Dawn those hollyhocks are beautiful. I can hardly wait to plant the seeds you sent me. Just beautiful pictures. I wanted to share this link with you: I know you will love this blog. She does a lot of work like you. Have a great Sunday. Very clever and pretty at the same time.